The Sala Phuket Resort, located way up in the north of Phuket on Mai Khao Beach, miles from the crowds only opened just over a year ago but seems to have gained a very good reputation very quickly. Luxury, elegance, tranquility, an all-but-private beachfront... er it's not for backpackers by the way. Sala Phuket is one of the new breed of Phuket resorts looking for guests who really do want to get away from it all and be very well looked after, and certainly don't want to be mixing with the hoi polloi on Phuket's busier beaches :) Sala Phuket is already mentioned in my Top 10 Phuket Hotels which was based on Trip Advisor reviews of Phuket Hotels. 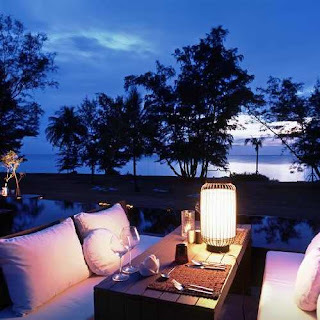 I decided to write a bit more about Sala Phuket after seeing that a local online newspaper had declared Sala Phuket to be it's resort of the year for 2008. Someone poetic clearly writes for Phuket Wan... "The villas ... are set well back from the beach rather than overpowering it, the way resort designers once thought they were obliged to. From that premise of co-existence flows a gentle design that delivers greenery, shapes and entrancing perspectives in every aspect of the resort. 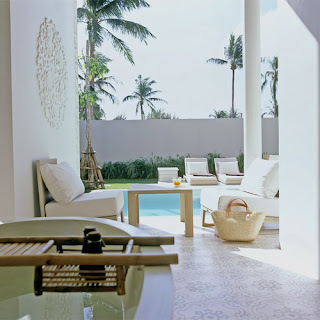 With rubber trees dappling paths and occasional Alice in Wonderland over-sized surprises in odd spaces, the Sala's Thai design team has broken with resort boredom." I think that translates as - it's really very nice indeed, something a bit special, not just another hotel on another beach. I don't suppose I'll ever stay there - unless the GM is reading this and wants to offer a free night? :) That's one reason why I like to mention Trip Advisor - you don't have to believe me, you can read plenty of reviews by happy guests and get a feel for any minus points at a hotel. I am sure most savvy hotel managers will read the reviews too! As if to reinforce this idea of Phuket as a luxury destination, I found an article in the New York Times online : Luxury Destination of the Year.